If you know nothing about Titanfall, It is being developed by Respawn Entertainment and will be published by EA. 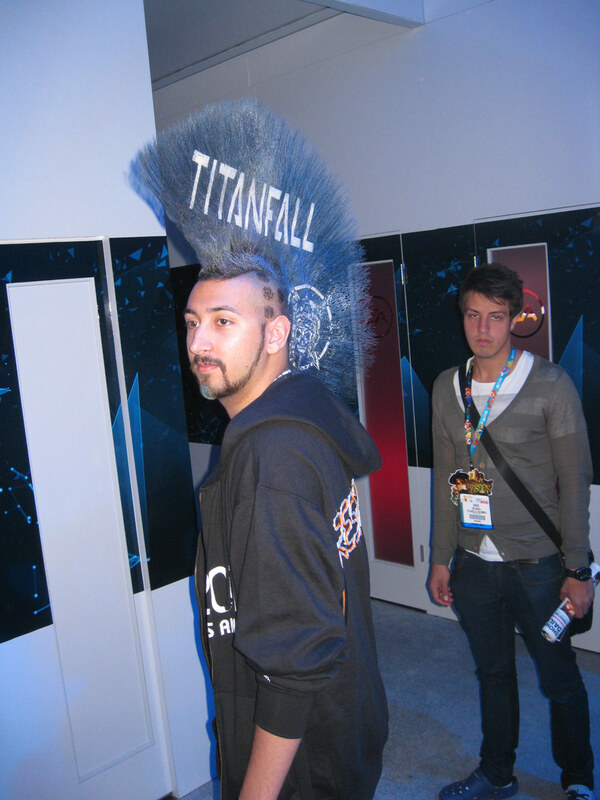 Respawn Entertainment was formed by Ex-Infinity Ward co-founders Jason West and Vince Zampella. They both created the Call of Duty franchises and left due to a dispute with Activision about their bonuses related to the sales of Call of Duty. The Titanfall closed door presentation was a ~25 minute multiplayer game. Staff from Respawn Entertainment were playing from the next door room to populate the server with humans amongst the normal AI opposition. The multiplayer mode of Hardpoint had teams competing for control of three capture points A, B and C. The mode is similar to Ground War in Call of Duty. The game started with the player’s character inside a ship with other soldiers before they did a space jump to a planet surface. You can see the opening portion was identical to the gameplay Respawn Entertainment showed off at the Microsoft press conference below. The character jumps out of the moving craft and then there is a very brief cinematic feeling mission briefing from an AI character piloting a Titan. I couldn’t tell if there were any infantry classes or not. The main character on screen started with an assault rifle and an RPG he used against the enemy Titans from roofs. During the presentation, an infantry unit was able to cloak themselves and sneak around the battlefield. There was also a pistol looking weapon that fired ricocheting bullets. With a game called Titanfall, the Titans must be carefully balanced for handling and strength so not to make the infantry useless. There is a nice cat and mouse mechanic between infantry and Titans where infantry units will chip away at the Titan health with rockets and can climb the back of the Titan to attack a critical point. The Titans can easily crush infantry units and decimate them with the rocket launcher. During the presentation, the main player only died from the Titan’s rockets which is saying something considering there was probably E3 health boost/reduced damage in effect. Infantry units can command the mighty Titan by calling them down like a Supply Drop from Call of Duty. After the two minute countdown, the player can call down the Titan from the airship and it crashes to the ground. I really enjoyed how the Titan’s hand lifts the player into the enclosure and there are a few moments of blackness as the Titan’s HUB boots. The Titans themselves were not as stiff as I expected. They appear to handle with almost the same level of turning quickness as current FPS games to be able to target individual infantry units. As I mentioned, the Titan’s rockets were extremely effective against infantry units as was the electric rail gun when perfectly aimed. Titan versus Titan gameplay is visceral with bullets whizzing by while pilots dodge sideways. A successful melee attack of a Titan against the enemy Titan has the mechanical claw ripping the player out of the cockpit. On the Titan HUD, there is a damage indicator which is very useful. If a Titan takes too much damage, the player can eject and choose to run away or offensively land on the other Titan as they did in the E3 conference. As the game timer ticked down to the final minutes, the team received evacuation orders to get to a evac point. Infantry who died during this phase don’t appear to respawn. The drop ship returned during the final 30 seconds for boarding and the main player made it on the ship. Lots of infantry units were left behind. I couldn’t tell if Titan players were concerned about evacuating, I assume they would want to eject out and get the large amount of points. 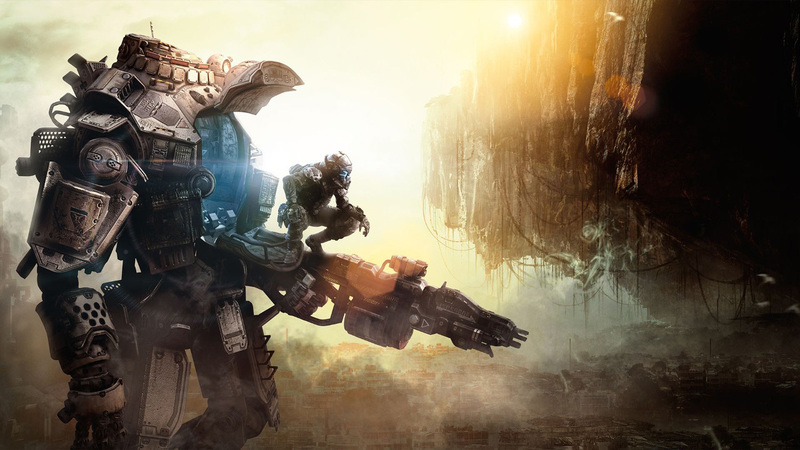 Titanfall is slated for release in Spring 2014 on Xbox One, Xbox 360 and PC. I’d likely be playing it on PC since the game will likely attract the Battlefield 2142 crowd to resurface and I'm sure how likely I'll have an Xbox One.